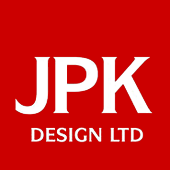 A direct Link to our JPK DESIGN LTD Facebook Page to view more images of our work and up to date news. Please ‘LIKE US’ ! Planning Portal – for more information about Planning issues and current policies. Stoke on Trent Council – direct link to there planning application search facility to enable you to follow the progress of your application. A direct link to our Houzz review facility to enable you read reviews by our customers and leave your review to help new clients.